What is Münchausen by Proxy Syndrome? 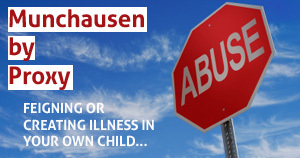 Münchausen by Proxy (origin of this name) is a severe form of deliberate child abuse, usually by mothers (over 90% are women according to one study), whereby the mother deliberately attempts to get her own child sick via falsified physical, physiological, and/or mental symptoms. This is done through exaggeration of symptoms, actual inducement of symptoms, or an outright lie about symptoms. The most important task is to protect children immediately from mothers with Munchausen Syndrome by Proxy. 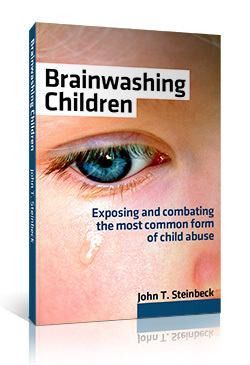 And that has to take place through the courts or Child Protective Services (CPS). Unfortunately, their task is made difficult by the difficulty to prove it, and even if it seems provable with lots of evidence, getting judges and child advocates to understand it. Sadly, in the meantime the child suffers, and often dies. Bottom line: the child needs to be removed from the abuse, which means the child must be removed from the abuser.